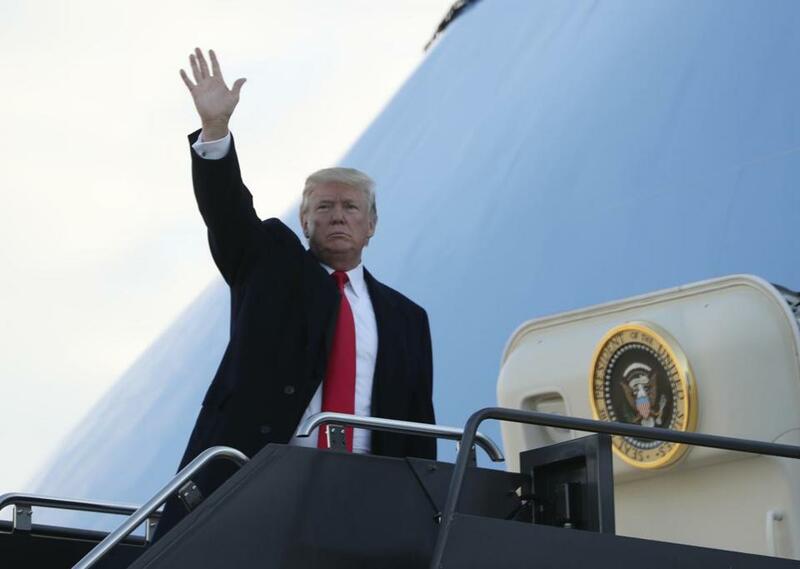 WASHINGTON — President Trump ran a campaign on lifting up the little guy. He was, in the words of his oldest son, “a blue-collar billionaire,” and it was his plain-spoken promise to be their warrior in Washington that helped win over voters in hollowed-out Midwestern towns. But almost a year into his presidency, evidence shows he has governed not as the populist champion he proclaimed himself to be, but instead as a president siding more often with large corporations, special interests, and the wealthiest of Americans. The tax plan Trump is backing in Congress would hurt many in the middle class in the long term, while bestowing greater, permanent benefits on corporations and wealthy people, according to nonpartisan estimates. He is seeking to hamstring the Consumer Finance Protection Bureau, which is charged with preventing banks, credit card companies, and unscrupulous lenders from fleecing average consumers. Even on the future of the Internet, it is hard to find evidence of Trump populism. He favors eliminating rules requiring net neutrality, which allow for equal access online for everyone. Instead, he is siding with big telecommunications companies that want more power over how information flows across their networks and what they can charge for it. He railed against Wall Street on the stump, then hired former Goldman Sachs executives for top White House jobs. He backed, as part of failed efforts to repeal the Affordable Care Act, deep Medicaid cuts that would inflict financial harm on rural, red states. He suspended policies aimed at giving debt relief to students defrauded by for-profit universities. Trump can still win populist style points; he thrills his followers by bashing the media and other liberal elites on the coasts. And he remains a disruptive force, rattling the status quo, with his proudly nationalist belligerence and refusal to bend to diplomatic norms and other Washington protocols. But on pocketbook issues, as the former real estate mogul and reality TV star’s first year draws to a close, he has established a record of pursuing trickle-down, deregulatory policies torn straight from boardroom agendas. The few Democratic senators who have met and shown at least a willingness to work with Trump, such as West Virginia Senator Joe Manchin, said they don’t think Trump has lived up to his billing as a hero of the working class. Manchin, in an interview, said there was a “mismatch” between Trump’s rhetoric and the reality of his policies, especially on the tax plans wending their way through the House and Senate. Trump came into office proudly preaching populism. He liked to compare himself to Andrew Jackson, the seventh president, who, like Trump, relished fights and thumbing his nose at elites. 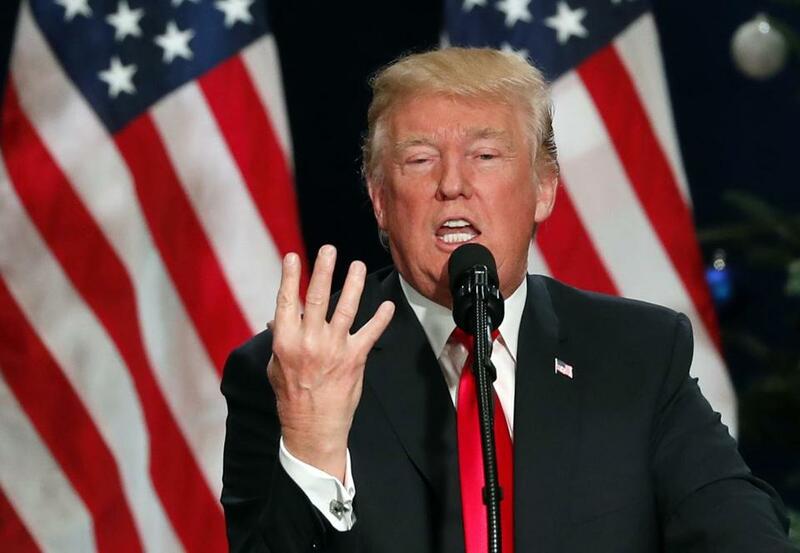 Part of his appeal to what he called the “forgotten’’ voters was Trump’s demeanor and his willingness to take on the establishment of both political parties. He spoke bluntly, and at a fourth-grade level, according to a 2015 Globe analysis, which seemed to turn off more-educated voters but had a strong appeal to people alienated by decades of Washington’s focused-grouped spin. Trump, despite his privileged upbringing and vast personal wealth, also had a history of pushing proposals that would go after the rich. In his book “The America We Deserve,” written in 2000, Trump proposed a one-time, 14.5 percent tax on the richest to help reduce the federal deficit. Trump spoke about tax reform on Wednesday. During the campaign, he claimed over and over that the wealthy would pay more taxes to give a break to the middle class. He said he would pay more in taxes under his plan. But then the new president and his staff of outsiders arrived in Washington. 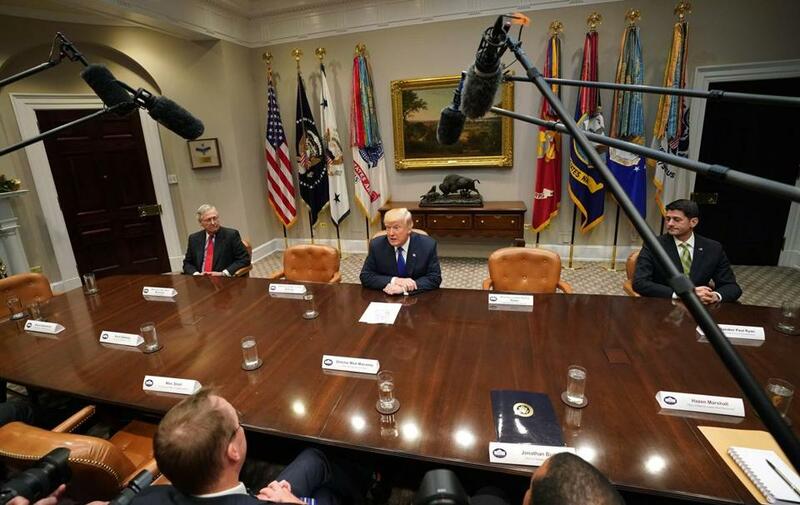 “Look at his entire Cabinet — they come straight from Wall Street,” said David B. Cohen, a political science professor at the University of Akron. “There is not one thing that this guy stands for that you can brand as populism. Trump’s following, now a clear minority of the America electorate as measured in approval ratings that hover at 38 percent, is actually still sizable, especially in Republican states in much of the Midwest and throughout the South. With little experience working the levers of power, Trump and his team ran head-on into a GOP-controlled Congress still influenced by well-paid corporate lobbyists. Trump has railed against trade deals that he says allow other countries to take advantage of American ingenuity, and just after taking office he formally pulled out of negotiations over the Trans-Pacific Partnership. But so far, he has not followed through on threats to label China a currency manipulator or impose tariffs on Chinese imported goods. He has also not made significant changes to the North American Free Trade Agreement, which affects trade with Mexico and Canada, though that remains a subject of multilateral negotiations. Trump revels in the soaring stock market as evidence that the American economy is roaring to life under his administration. But the bull market long preceded him — it is nearing nine straight years of gains — and Wall Street, despite the broad participation of smaller investors nurturing retirement nest eggs, remains primarily an engine of enrichment for people who are already wealthy. More than 81 percent of stocks were owned by the wealthiest 10 percent of Americans in 2013, according to an analysis of Federal Reserve data by Edward N. Wolff, an economist at New York University. This week, while the halls of Capitol Hill buzzed with the reality that Senate Republicans would likely push Trump’s tax overhaul plan to passage, Republicans defended the tax legislation as fulfilling a populist promise, saying that it would be a boon to everyone. While they concede that the bill overwhelmingly benefits the wealthy, they say that’s a matter of simple math, since the wealthiest Americans already pay more in taxes. Senator John Boozman, an Arkansas Republican, pointed to the doubling of the standard deduction as proof Trump and Republicans are keeping their populist promise. “Everybody has worked really hard to make sure these benefits are geared to hard-working Americans,” Boozman said. Senator John N. Kennedy, a Republican from Louisiana, was more curt. Asked if the tax bill lived up to Trump’s populist campaign promises, he said, “Yes.” But when asked why, he ignored questions. Democrats have so far been unable to fully capitalize on the disconnect between Trump’s campaign rhetoric and his more plutocratic record. Democratic lawmakers chalked up a big victory when they helped stymie the Affordable Care Act repeal. But their arguments against corporate tax cuts have been less effective, and certainly have not seemed to damage Trump. Senator Ron Wyden, Democrat of Oregon, said the tax bill makes “a mockery” of Trump’s reputation of a populist. “I’ve been in meetings where [Trump] says, I don’t think people like me should be getting all this tax relief . . . and here we are, he’s going to get hundreds of millions of dollars in tax relief,” Wyden said. Trump met with congressional leaders at the White House on Tuesday. The Senate tax legislation shrinks the estate tax, which benefits the wealthiest of heirs, and it sharply lowers corporate tax rates. Those corporate tax cuts would be permanent, while the cuts for individuals would expire in 2025. Partnerships, including the sort Trump’s family empire is built on, would also get new tax cuts. “This is completely backwards based on what Trump’s allegedly run on,” said Andy Green, the managing director of economic policy at the liberal think tank Center of American Progress. Trump also took new steps to take control of the Consumer Financial Protection Bureau, an agency that scrutinizes consumer lending abuses by financial institutions. He appointed budget director Mick Mulvaney, a former Republican lawmaker and persistent foe of the bureau, to fill a vacancy in the agency’s top job, and has focused his comments less on ordinary citizens than on the businesses the agency has gone after for victimizing consumers. Matt Viser can be reached at matt.viser@globe.com. Follow him on Twitter @mviser. Astead W. Herndon can be reached at astead.herndon@globe.com. Follow him on Twitter @AsteadWesley.